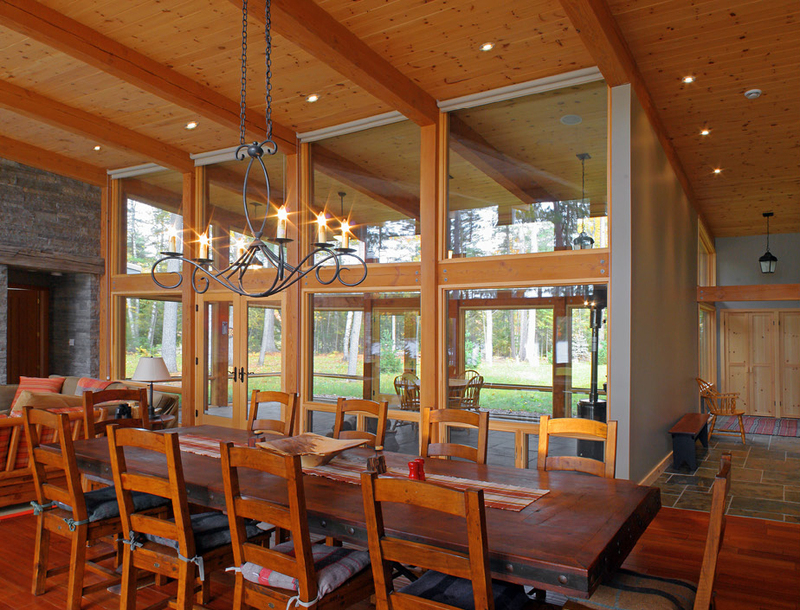 Oblong Lake Cottage - Strasman Architects Inc. 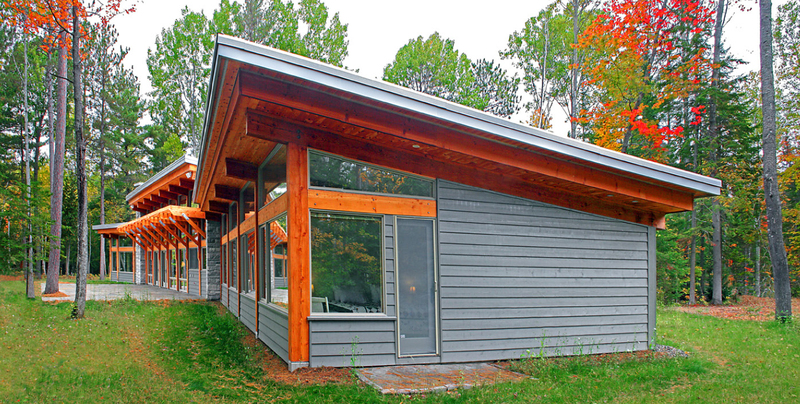 The cottage is nestled beside a secluded bay on Oblong Lake in Southern Ontario. Beautifully treed, flat, and virtually untouched, the owners sought a retreat that would preserve these natural qualities. 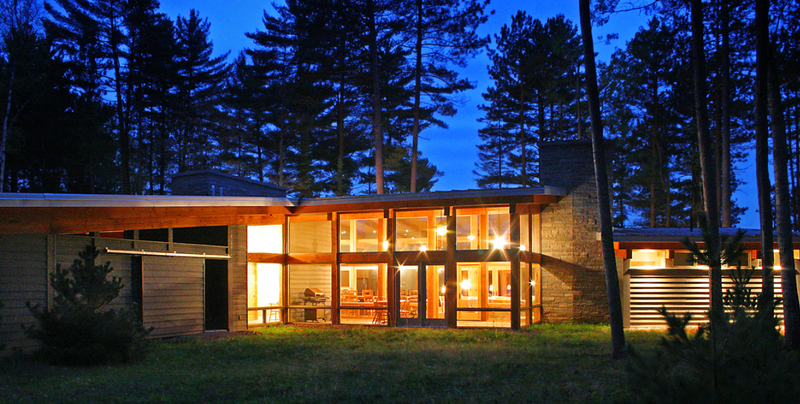 With the least disturbance, the cottage is sited in a natural clearing amongst the trees. 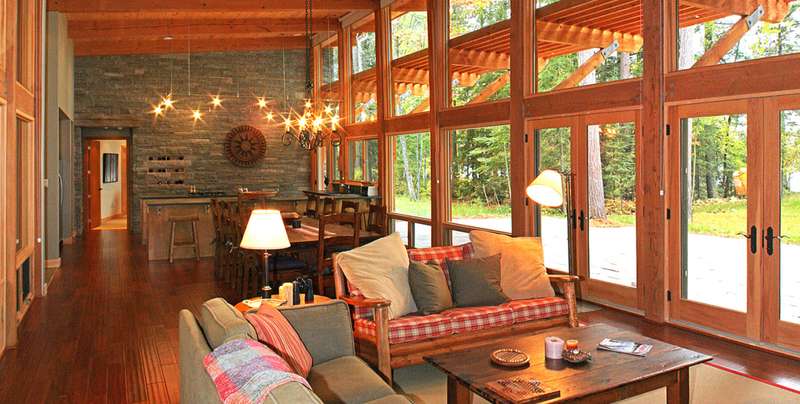 The cottage is organized about a main communal space oriented west to capture the lake views and evening sunsets. 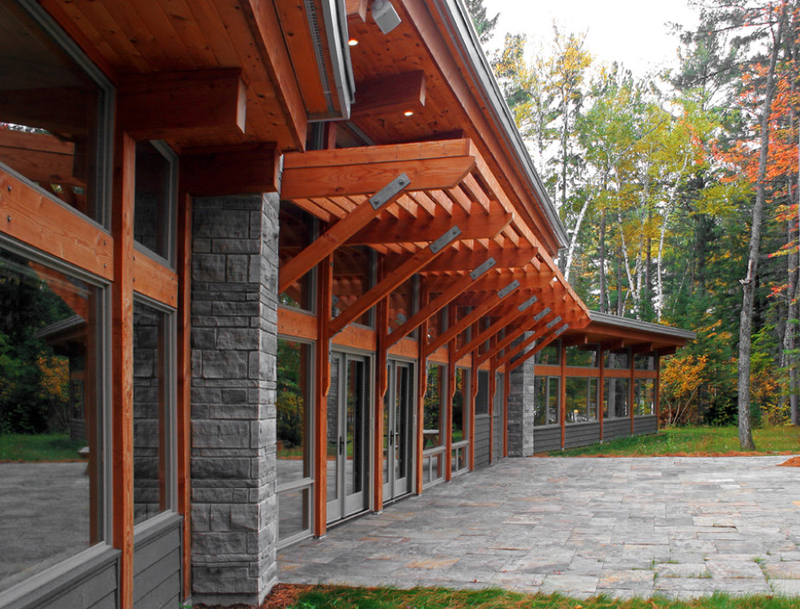 Because of it’s unique setting beside a bay, the cottage afforded views on three sides allowing views through the building. The lines of the cottage are influenced by the basic ‘shed’ form which lends itself well to the simple heavy-timber post and beam construction where the timber columns and trellis appear as tree trunks and limbs imitating the forest in which it inhabits.